Welcome to Footprints Summer Fest. From July 12th to 14th Studio Footprints hosts it’s second International Tap Dance Festival, offering workshops with world class teachers, Jam Session and lecture demo. All workshops are taught at Studio Footprints and Studio La Cajita. Both studios are in the same building and floor. Stresemannstraße 374 B, 22769 Hamburg. The beginner workshop is taught by Cordula Decker & Kurt Albert. The Beginner Intermediate track is taught by Leela Petronio, Josh Hilberman and Kurt Albert. Intermediate and Advanced tracks are taught by Josh Hilberman, Leela Petronio and Guillem Alonso. Beginner: You have never tap danced before and this is your first lesson. Beginner Intermediate: You have been tapping for 1 to 2 years. Advanced / Pro: You have been dancing intensively for many years. You have a vast skill set in choreography and improvisation. Welcome party at Studio Footprints. Join us for some drinks, music and a video showing and lecture demo by Kurt Albert. Meet old friends or make new ones at our opening party. The beginner track consists of four 75min units. All other levels of six 75min units. German Tap will hold it’s annual meeting during Footprints Summer Fest at our location. The meeting will take place on July 14th between 11.00h and 13.00h. All members and friends of German Tap are invited to take part in the meeting. Also, all German Tap members will get a discount of 10% on the regular workshop fee. All prices include classes, opening party, Jam Session & Lecture Demo. Early Bird Special: If you register before May 20th you will get a discount of 10%. Right after Footprints Summer Fest we start with our Professional Tap Training (July 15th-August 4th). 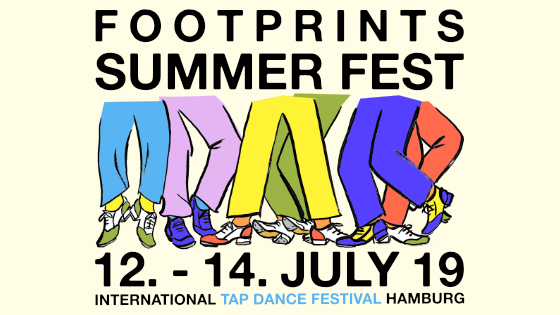 If you are a participant of our Pro Tap Training you are welcome to join our Summer Fest for a reduced fee of € 80.- total, as a warm up workshop. and transfer payment for your selection to the following account. Cancellations made before May 20th 2019 will be refunded in full. No amount will be refunded for any form of cancellation after May 20th. I acknowledge responsibility for my own health and safety, and understand that whilst the teaching staff will take all necessary precautions to ensure I am not hurt or injured during the program, my safety is ultimately my own responsibility. I understand that by participating in this festival I will be engaging in physical activity in the form of dance practice, and in attending I am acknowledging that I am of an appropriate level of health to do so. Groomed by tap and vaudeville stars of the 1930’s, tap dance artist Joshua Hilberman has shared the stage with Gregory Hines, Savion Glover, Jimmy Slyde, Brenda Bufalino, and most every tap dancer of note. Long-time artistic collaborations include mentors Bufalino and tap’s great pianist Paul Arslanian. Together with dancer/producer Drika Overton, and the German duo Tap and Tray, Josh has been creating and performing original ensemble and solo theatrical productions for over 20 years. 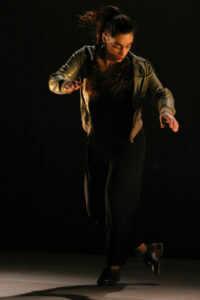 Hilberman’s contributions to the evolution of tap dance receive mention in the 2010 book Tap Dance America, and he has been awarded grants from the National Endowment for the Arts, the US Presidential Scholars Teachers Recognition Award, and the Premi Claqueta from the dancers of Barcelona, Spain for significant contributions to the tap community. Settled happily in Liege, Belgium, most days Josh can be found at his lovely space for tap dance, the Claquettes Club, or at home making pancakes for his son Felix and wife Stephanie. 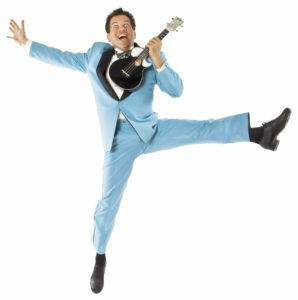 Kurt Albert is one of the leading European Tap Dancers with 30 years of experience in international showbusiness. He was fortunate to learn the art of American Rhythm Tap from authentic masters like Carnell Lyons (Kansas City, NYC, Berlin), Brenda Bufalino (NYC) and Buster Brown (NYC), who are his main influences. He also took workshops from Honi Coles, Cholly Atkins, Jimmy Slyde, Sarah Petronio, Steve Condos, Eddie Brown, Fred Kelly, Prince Spencer, Cookie Cook, Fay Ray and Leonard Reed. He was a member of Brenda Bufalinos “International Tap Dance Orchestra”, and since 1990 he has regularly been sharing the stage with Carnell Lyons, Brenda Bufalino and Josh Hilberman. For over thirty years he has been dancing with his partner Klaus Bleis in Germany’s best known tap duo “Tap and Tray” with international appearences in USA and throughout Europe. After graduating from high school, Cordula Decker began a “foundation course” in theatre design at the Central St. Martins College of Art and Design in London. Meanwhile she took intensive jazz, tap dance and ballet lessons at Pineapple Studios London. She then completed her training as a stage actress at the Stage School of Music, Dance and Drama in Hamburg and graduated in 2001. She has appeared as an actress, singer and dancer at the Deutsches Schauspielhaus Hamburg (“Clavigo” director: Jan Bosse / “Best of Schauspielhaus Gala” director: Tom Stromberg), at the St. Pauli Theater Hamburg (“The next step”) and at the Musikhochschule Hamburg (“Phi Phi”). 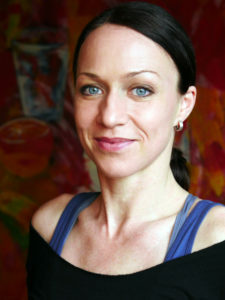 In 2003 Cordula received an additional qualification in dance pedagogy at the Iwanson School in Munich and has been working as a dance pedagogue in Hamburg since then, specialising in tap dance and jazz dance. Since 2006 she was part of the professional class of Thomas Marek and trains regularly with international tap dance stars like Brenda Bufalino, Josh Hilberman, Barbara Duffy, Lisa La Touche and Michelle Dorrance. Cordula can be seen together with Thomas Marek as a tap dancer in the music video “Wir sind Hollywood” by Anna Depenbusch and was most recently on stage in “Footprints on stage” at Kampnagel (Hamburg 2010,2013,2016) and in “Blue Tap open stage” (Berlin 2014,2015,2016). In June 2017 she produced her first Tap Show “Tap Im Park”, in the Schanzenzelt, Hamburg. Since 2009 Cordula has been teaching regularly at Studio Footprints. Receiving various grants from the Catalan government (Spain) he studied tap dance in New York, where he was taught by famous dancers such as Brenda Bufalino, Barbara Duffy, Savion Glover and others. In 1993 he won 1st prize at the World Tap Championship in Switzerland organized by the International Dance Organization. During Christmas 1995 Guillem appeared as tap soloist for the show Yuletide Celebration, accompanied by the Indianapolis Symphony Orchestra. Later on he toured across the USA and Europe with several of the best American tap companies, the American Tap Dance Orchestra, Manhattan Tap, Tap Collective from New York and Steps Ahead from Los Angeles. 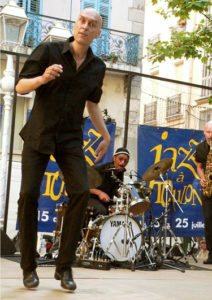 Guillem lives in Barcelona where he performed and created numerous works including choreography for the show That’s Jazz, created for the opening of the new theatre Scenic Barcelona, has choreographed tap numbers in the last production of the musical Fame in Madrid, and also for the Monty Payton’s Spamalot. At home, Guillem has started tap improvisation sessions, Tap Jam, since 1998, and never stopped since then. 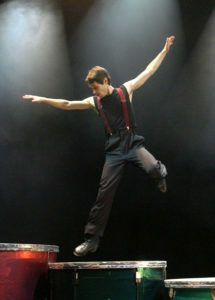 During the seasons 2000-02 he was tap soloist in the successful production of Fire of Dance, touring all around Europe. He choreographed tap solos and duets, one of those being the captivating Sand dance. This is a style of dance that he has performed with many companies and is one of his trademarks.